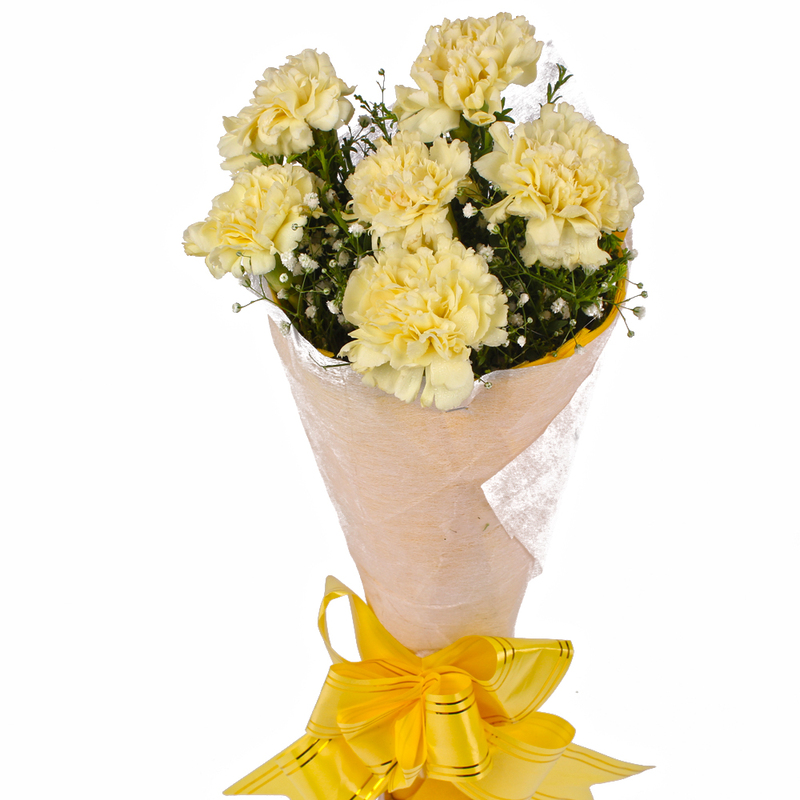 Product Consist : 6 Light Yellow Color Carnations with green fillers in Tissue Wrapping with Ribbon Bow on it. 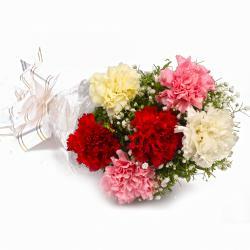 If you feel roses are way too conventional, then think different and go for this bouquet of Carnations. 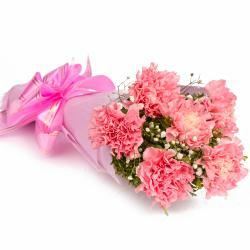 The flowers are attractive and charming. It will surely win hearts with its unique appeal. 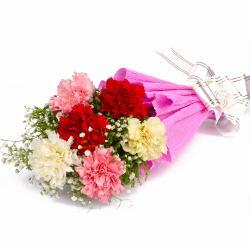 The bunch is wrapped in cellophane thus holding the flowers in place and enhancing the beauty of the bouquet. 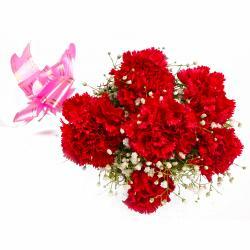 this special bouquet is suitable for many occasions such as Birthday, Anniversary, Good Luck Gifts, Gudi Padwa / Ugadi, Daughters Day and many more. 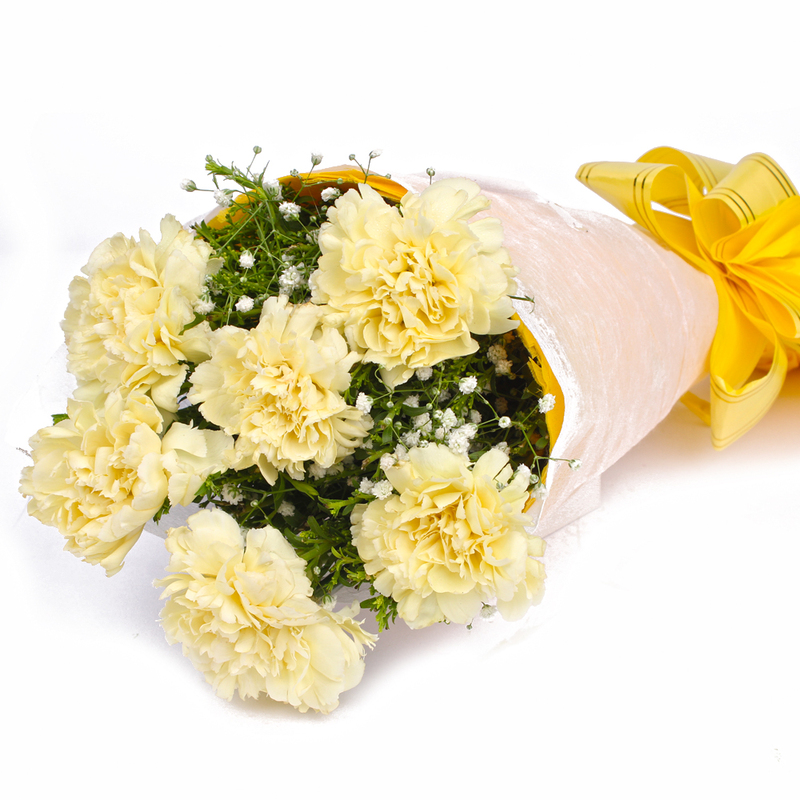 Product contains : 6 Light Yellow Color Carnations with green fillers in Tissue Wrapping with Ribbon Bow on it.